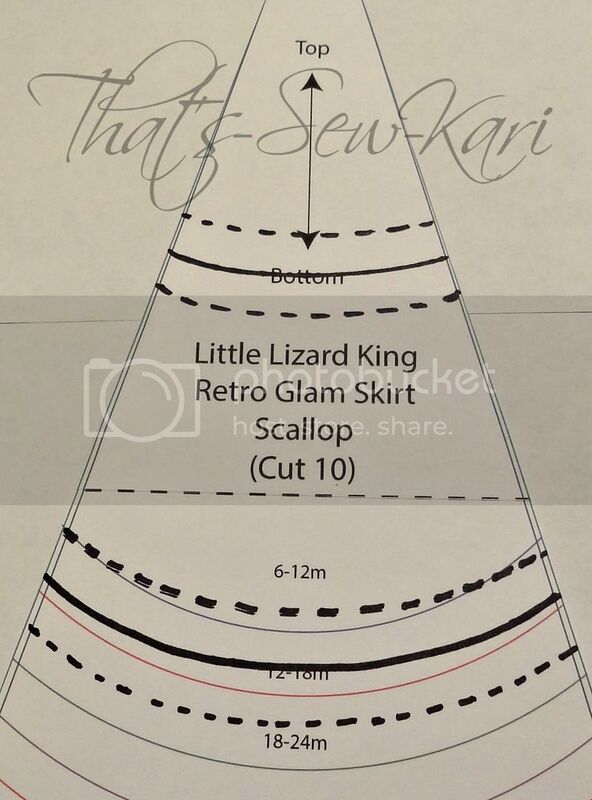 Last year, I posted my test version of the Retro Glam Skirt by Little Lizard King. 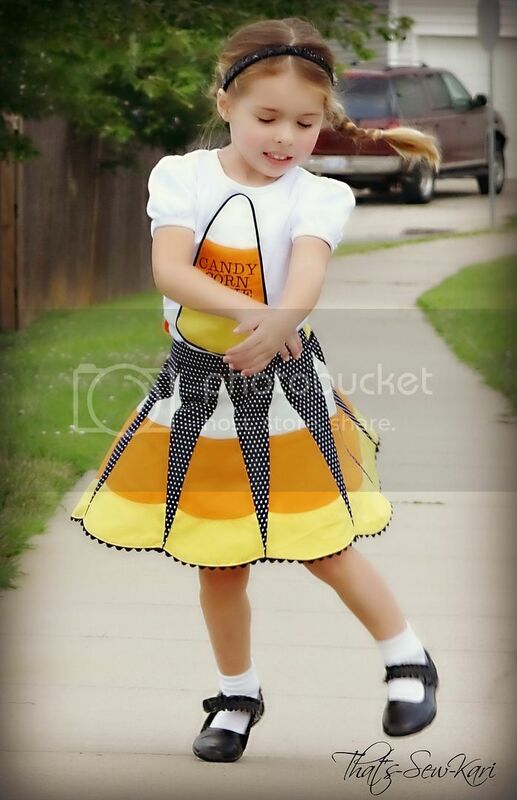 I had chosen a Candy Corn theme and the response was overwhelming! 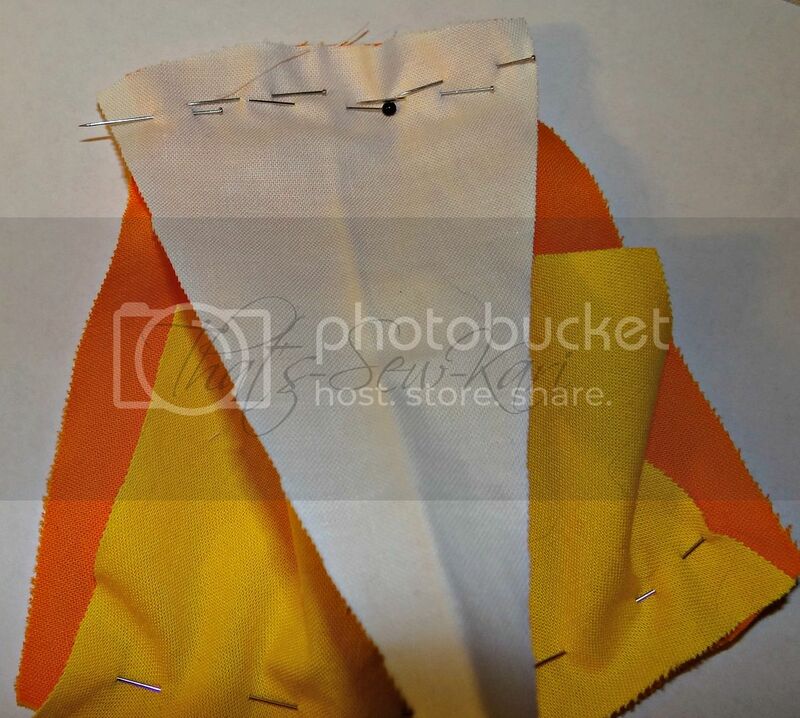 I was going to keep my candy corn sewing process a secret, but I woke up one day feeling generous and decided to share my tutorial with all of you. I hope you enjoy! When I first saw the Retro Glam Skirt, I immediately thought the scalloped pieces were perfect for candy corns. Originally, I thought I'd piece some yellow, orange, and white fabric together horizontally, cut my scallops and call it a day. But, as I researched candy corns, I realized a couple things, 1.) all the pictures I saw had scalloped edges for each color and 2.) candy corns are not an ombre effect - the orange is in the middle! Whew, glad I Googled that! 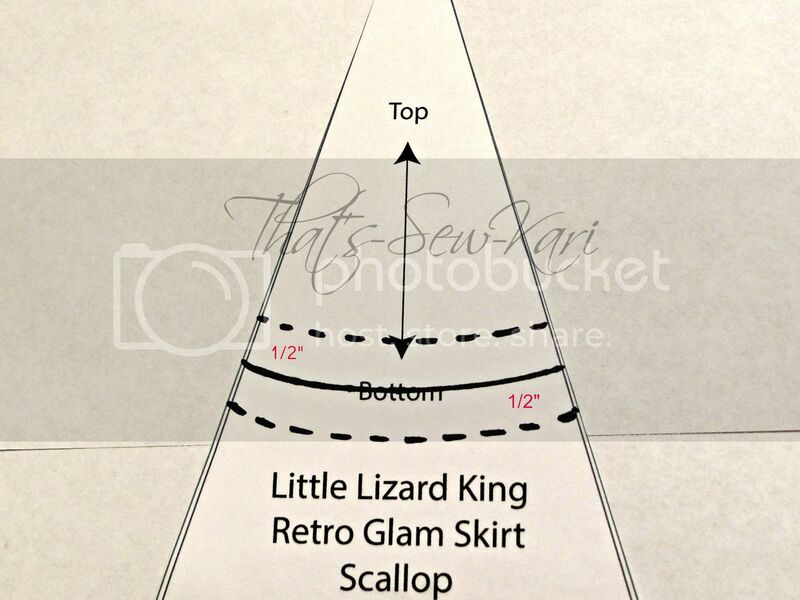 1) Print your pattern pieces, MEASURE your test square (seriously, don't skip this step on ANY pattern you print!!! ), and cut your size out. Set the triangle piece aside for now. 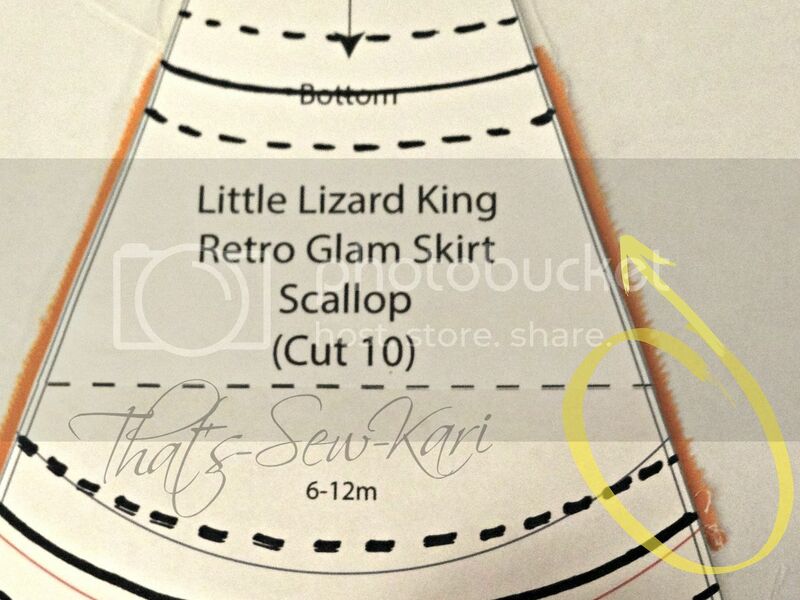 We'll be working with just the scalloped pattern piece. 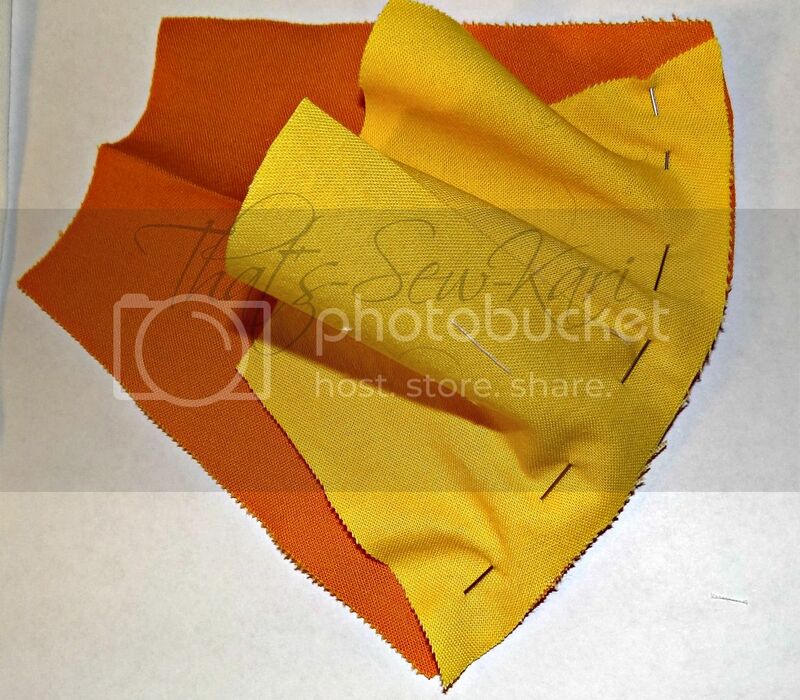 4) Determine what you'd like your seam allowance to be. I'm using a 1/2" seam allowance, but it's purely preference. Using the width of your SA, draw another set of curved lines (might be helpful to use dashes) ABOVE and BELOW the two curved lines you've drawn originally. You should now have 2 sets of 3 curved lines. 5) Grab a sheet of blank paper. 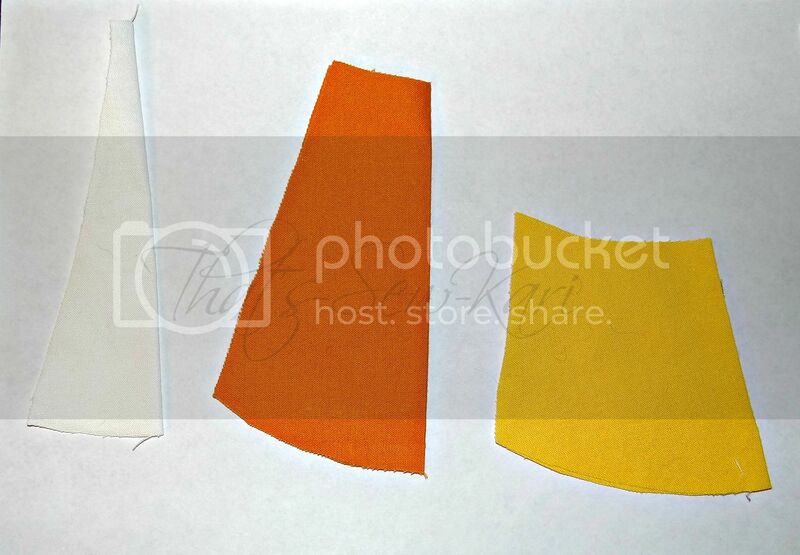 We'll start with tracing out the yellow portion (the bottom piece). Trace along the outside edge of the bottom. 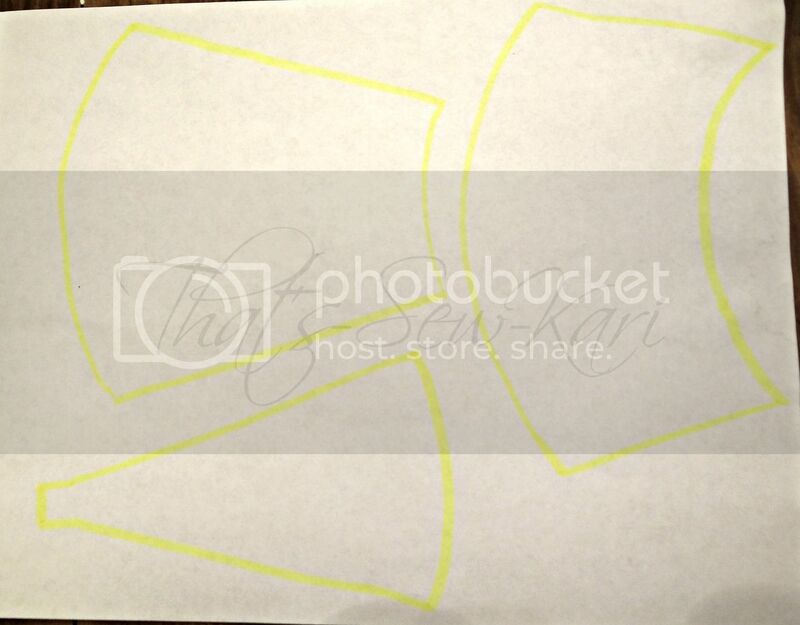 The top line of the bottom set of curves you've drawn will be the top of the yellow pattern piece. 6) The orange piece (middle piece) will use the bottom line of the bottom set of curves you've drawn and the top line of the upper set of curves. 7) The white piece (top piece) will use the bottom line of the upper set of curves. 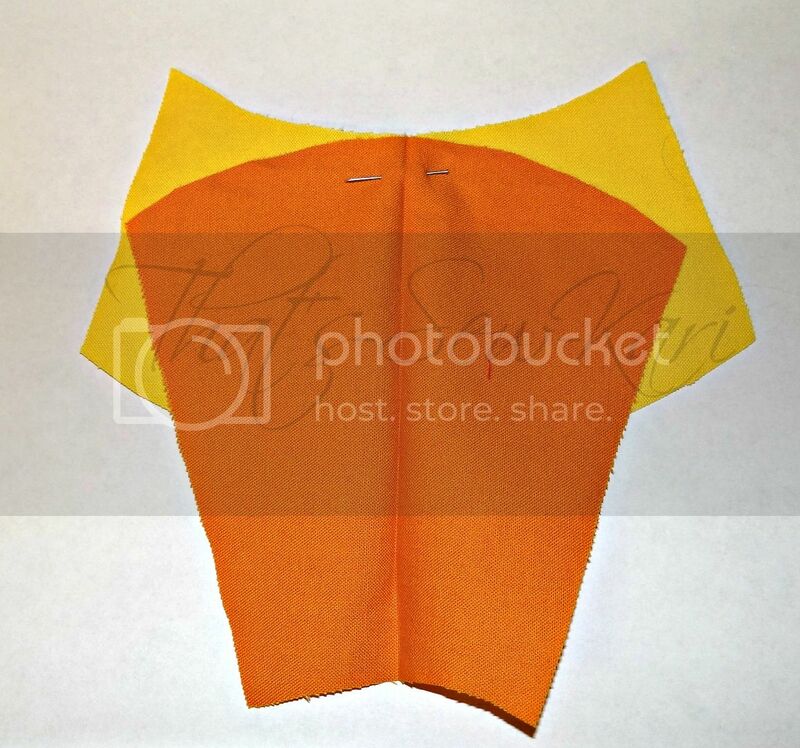 8) Cut out your pattern pieces and cut them out of your fabric. I recommend cutting just one set first to make sure you're happy with the ratios you've chosen. 9) Fold each piece in half and iron in a small crease. This will aid in making sure the middles match up! Fold in half and press crease. 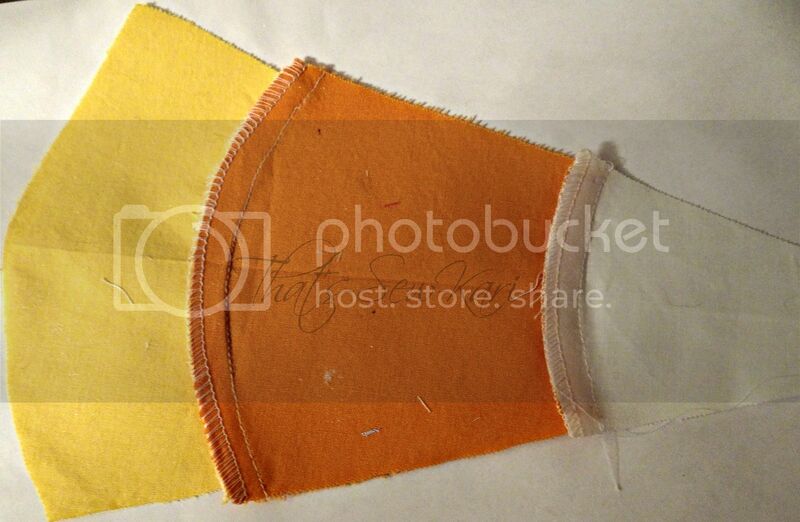 Right sides together, pin the middle of the orange bottom to the middle top of the yellow. You'll see the curves run the opposite direction. Starting from the middle, ease your way to one side, matching the edges and pinning as you go. Repeat with the other side. Ease the curves together, pin well. 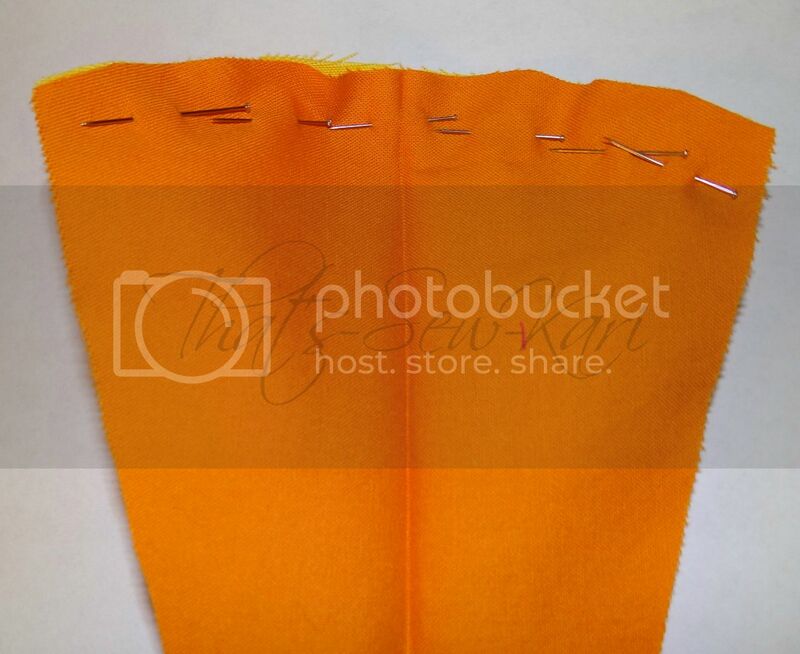 Now take the white piece and match the bottom of it up with the top curve of the orange piece, right sides together. (I used Kona cotton and I don't even know if there is a right side, but just make sure your seams will be on the same side...LOL). Ease the white along the curve of the orange as you did with the yellow. Make sure seams will be on the same side! 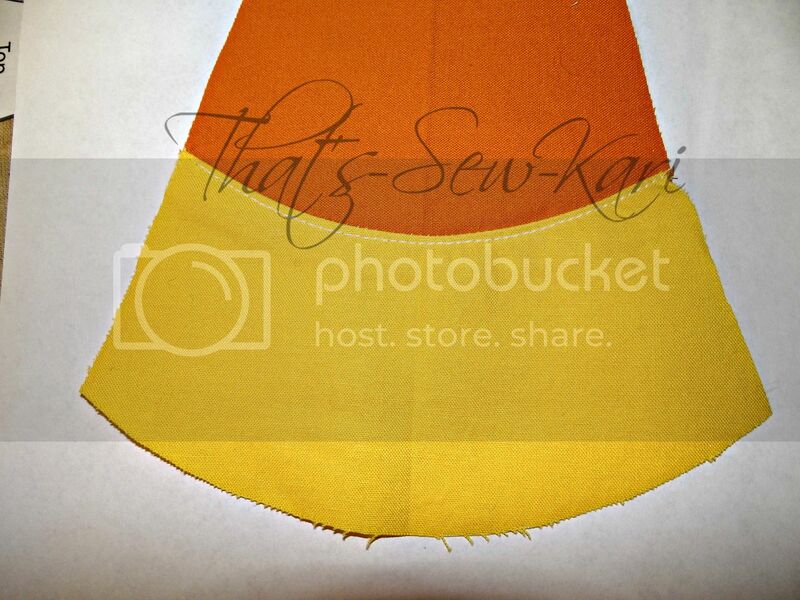 10) Sew along the curves, slowly, so you can smooth out any potential puckers, using your pre-determined SA. (If you are using a serger, I recommend disengaging your knife!) Finish your edges however you'd like. 11) Iron your seam allowances downward (this will allow the seams to lay flat without clipping any curves). Topstitch the seams in place. 12) Trim any slight overages on the sides. Place original pattern piece on top to make sure no mistakes were made in the construction of the candy corns. Repeat process for remaining 9 candy corns. Sew pattern according to directions. 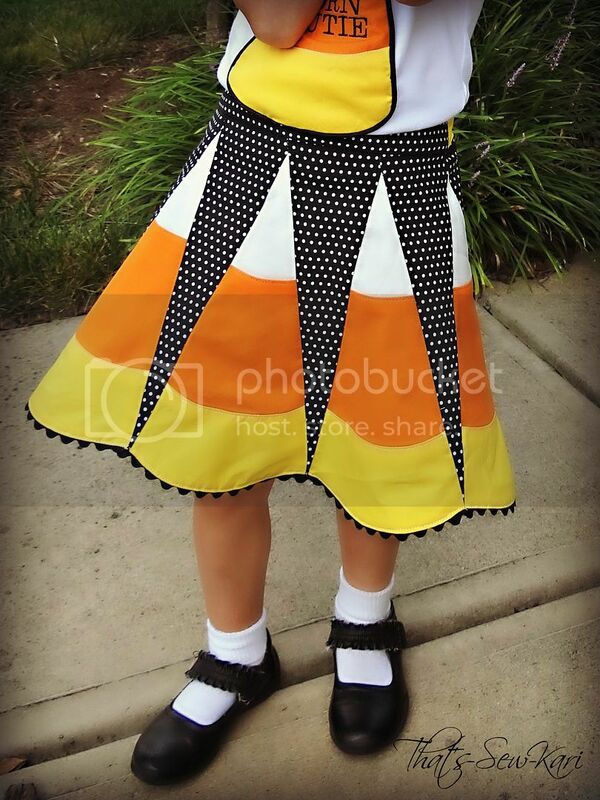 Important: In order for your candy corn seams to line up across all 10 panels of the skirt, very precise cutting and sewing is recommended. This is not a quick, pump-out-the-skirt-in-an-hour process, but it is a process that yields great results!